The federal government takes all unlawful drug-related activity very seriously. The Comprehensive Drug Abuse Prevention and Control Act of 1970 governs federal drug crimes, and Title II of this law is commonly called the Controlled Substances Act. 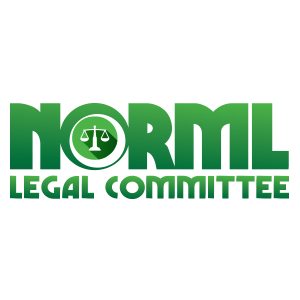 Many federal agencies are tasked with the enforcement of this law, including the Drug Enforcement Agency (DEA), the Federal Bureau of Investigation (FBI), and the Bureau of Alcohol, Tobacco, Firearms, and Explosives (ATF). Federal investigators from these agencies can make arrests and turn evidence over to federal prosecutors who decide whether to issue charges. You can bet the government will use all possible resources to try to apprehend, convict, and penalize individuals involved in drug trafficking operations. No one in the federal criminal justice system will go easy on you or do you any favors. 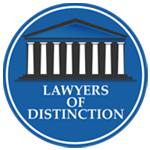 They are not on your side, so you need an experienced federal criminal defense lawyer who is. At Wimmer Criminal Defense Law, we stand behind defendants facing a wide variety of criminal charges, including federal drug trafficking charges. We know how to protect your rights through every step of an investigation and criminal case. It is critical to have the right representation in these situations, so please don’t wait to call our office today. If a certain amount of drugs is involved, it can trigger drug trafficking charges. Conspiracy – If someone was not actively involved in the trafficking crimes, they can face conspiracy charges if prosecutors believe they helped to plan the crimes. Firearms offenses – Often, individuals who are transporting, distributing, or selling drugs or who are otherwise actively involved in a trafficking operation will carry a firearm. Possessing or using a firearm during a drug trafficking offense can lead to additional charges and enhanced prison sentences by ten years or more. Money laundering – Drug trafficking schemes can make extraordinary profits. However, traffickers cannot simply deposit these funds in a bank, as they must account for the source of any deposits of $10,000 or more. Therefore, trafficking operations often involve complex money laundering schemes to use the profits while masking the illegal source of the money. RICO violations – In many cases, drug trafficking cartels are viewed as organized crime syndicates. For this reason, investigators and prosecutors often look to evidence that may allow charges for racketeering under the Racketeering Influenced and Corrupt Organizations (RICO) law. In order for such charges to apply, prosecutors must be able to prove there was a criminal enterprise, as well as that the enterprise engaged in at least two specified criminal offenses within ten years, which include drug trafficking and money laundering. If a RICO violation is alleged, prosecutors can charge anyone involved in the enterprise. Some or all of the above charges will commonly accompany drug trafficking allegations, adding potential penalties to a conviction. 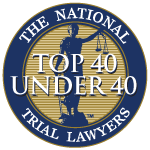 A skilled federal criminal defense attorney will know how to defend against each individual charge involved in a particular case, limiting the possible consequences as much as possible. 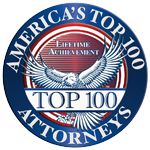 The above penalties can increase substantially if you have a prior offense or if anyone was injured or killed during the commission of the drug trafficking offense. Drug trafficking charges are serious, and prosecutors often have a lot of evidence from long-term federal investigations into drug cartel activity. 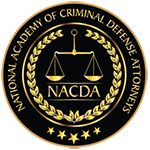 It is critical to have the right attorney on your side throughout the entire federal criminal process. 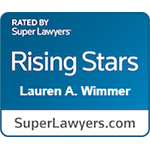 Wimmer Criminal Defense Law can help if you are under investigation or have been arrested and charged. Call 215-712-1212 or contact us online to learn how we may help today.